In our last blog post, we talked about what you need to do in Q4 to evaluate your cash flows and get your house in order for 2018. Of course, we know a practice’s success is affected by much more than insurance contracts and reimbursements. An article from Physician’s Practice outlines some other considerations to think about as you prepare your practice for success in 2018 and beyond. Assess your staff’s skill set. Are you making the most of your staff’s abilities? Take some time to sit down with each of your staff members to find out what they’re good at, and whether they’re satisfied where they’re at. It may turn out that someone on your team has skills in financial analysis or social media marketing that you didn’t know they had. Taking some time to assess your staff’s skills and how you’re utilizing them could open new opportunities for greater practice efficiency and make them happier workers! Check in on your company culture. As the article from Physician’s Practice puts it, “Your company culture includes your policies, procedures, staff attitude, patient population, location, and how all of those areas come together. Company culture typically starts at the top and trickles down. You can, however, change areas of the company culture and with good results and happier employees. Others start to take notice and want to be part of that positive experience.” At Clinic Service, we’re big on culture. Our CEO checks in regularly with our employees to ensure that our values are trickling down into every aspect of our company’s operation. Take stock of your personal well-being. How are you feeling? Are you feeling burned out? Are you taking time to recharge when needed so that you can not only feel better but provide the best care possible? 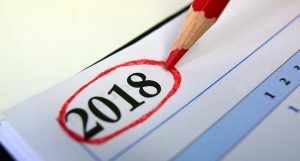 While we all know how successful New Year’s resolutions tend to be (not very), the new year is a good time to set new goals for yourself regarding your personal well-being. As the saying goes, put on your own oxygen mask before helping others. Whether you’re heading into 2018 feeling confident about your practice or not, these considerations are important as you evaluate where your practice is and to set the course for next year.